Look no further! 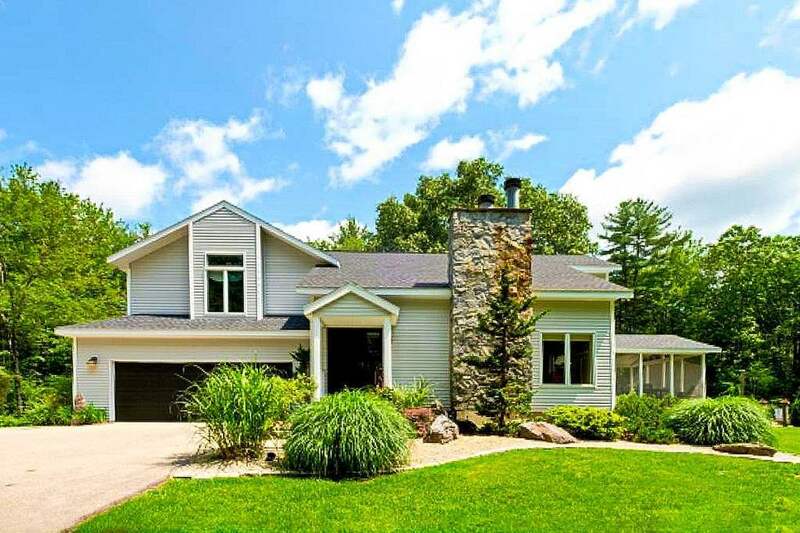 Welcome to Boat Club Drive, your own private retreat on 5.89 acres in Stratham. This 3 bedroom, 2.5 bath home has everything to offer from the beautiful hardscape and landscape on the exterior, to the newly appointed and modern interior. Key features include an entertainer's dream kitchen and bar with granite counter tops, stainless appliances and hickory flooring, open concept family room with granite fireplace, large screen porch and spacious back yard with newly installed fence and fire pit area. The formal living room is appointed with yet another stone fireplace and beautiful mission style wainscoting. Take a walk upstairs to the master suite which includes an enormous walk in closet offering almost 140 sq ft of storage. The master bath features travertine tiled floor and walls, vanity with double vessel sinks, a luxurious walk in shower with stone pebble floor and double shower heads. Two additional bedrooms with oak hardwood offer plenty of room for family and guests. Ease of living and entertaining abound in this unique home located in a peaceful neighborhood abutting conservation land situated just minutes from all services, schools and major routes to Boston and the seacoast. 15 minutes to Portsmouth.